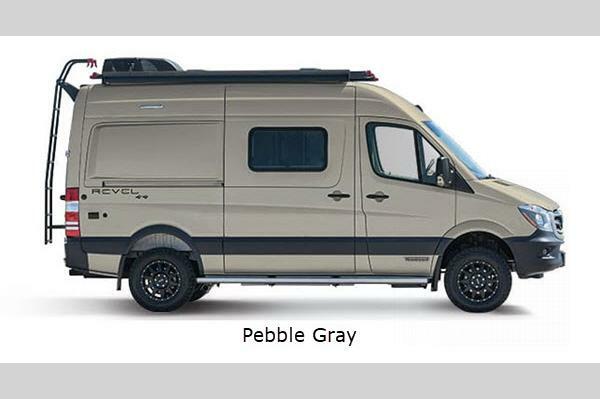 If you are an adventure enthusiast, and if you love to travel to wherever the world takes you, then these Winnebago Revel Class B diesel motorhomes must be a part of your next excursion. 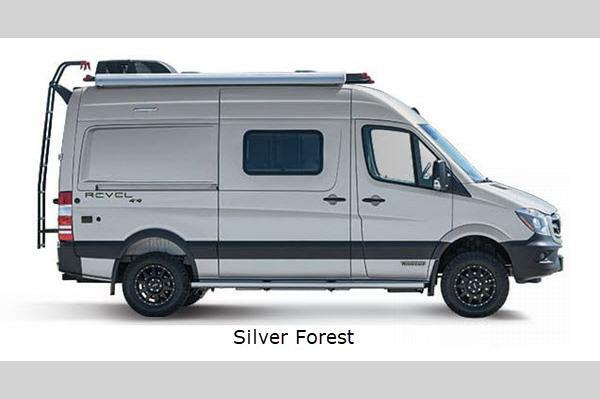 These motorhomes with a 4x4 Mercedes-Benz Sprinter chassis boast a 4-wheel drive system that allows you to take your camping one step further: off road. With its ability to navigate the tough terrain, these motorhomes become essential to those who enjoy truly living off of the grid. Not only is the Revel the most off-road-capable RV that Winnebago has ever built, but it is also one of the most modern and versatile units when it comes to the interior amenities. 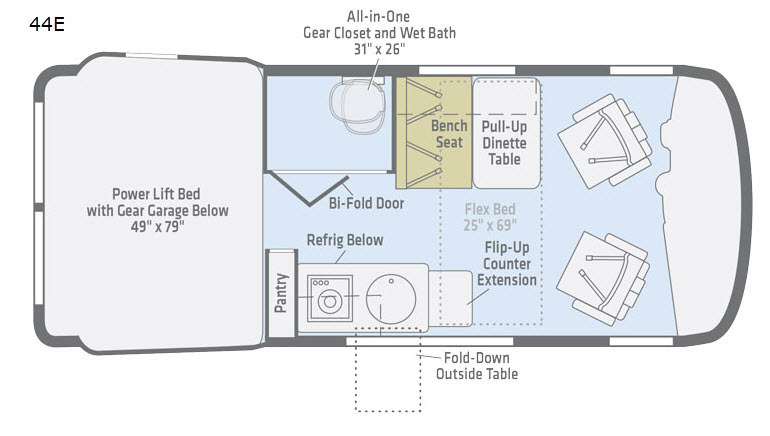 Because of its expertly designed floor plan, the Revel features a 140 cubic foot garage space which allows you to bring along all of your outdoor gear, and when the day is over, the power lift transitions down into a bed for you to sleep on. Even the wet bath is multi-functional because of the added three shelves and rod which allow this space to also serve as a closet. Open up a world of possibilities and unlimited destinations with these Winnebago Revel Class B diesel motorhomes!